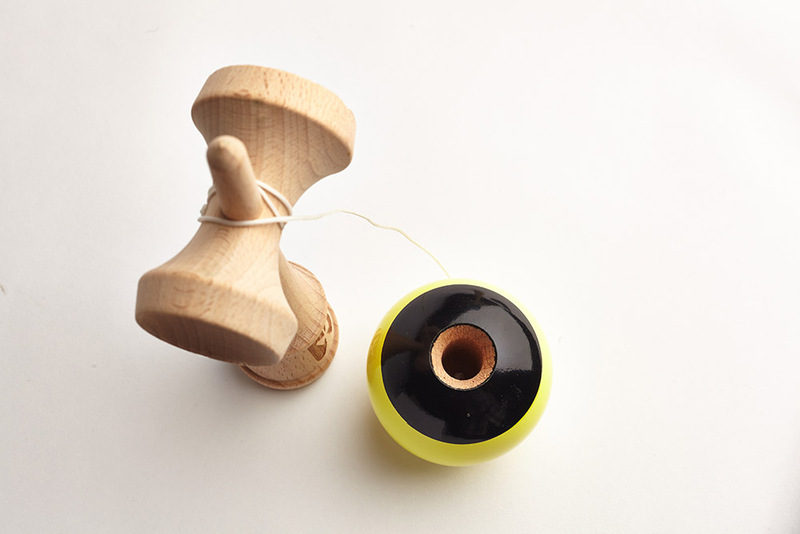 Home › Kendama News › Union Kendamas are here! After a long time in the making, our new signature model, the Union Kendama is here. Designed in close consultation with our pro team, these Kendamas feature a unique black circle around the hole (‘Ana”) in the Tama to aid spiking tricks that require you to be able to spot the hole quickly and with ease. They also come with the KDUK emblem cut into the Ken itself. To protect the Kendama during delivery, each Union comes in it’s own packaging shown above. There is currently only a limited run of 50 yellow and 50 light blue Unions that are only available for sale in one place, our Kendama Shop. We have also priced them competitively so snap up one of these limited first run Kendama while they last!